In March/April 2017, Caribbean Beat marked its 25th anniversary. That came just a year after we at MEP celebrated our 25th anniversary (and the silver anniversary of Beat‘s sister publication, Discover Trinidad & Tobago). Caribbean Airlines also celebrated its 10th anniversary in 2017. And now, the companies that bring you Caribbean Beat mark one more milestone: the magazine’s 150th issue, all new for March/April 2018. 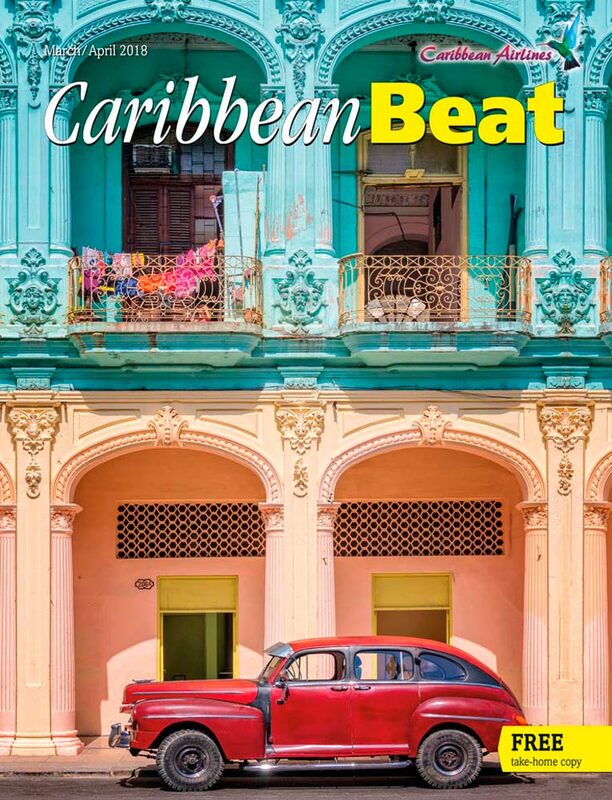 The cover showcases two classics of Old Havana, Caribbean Airlines’ latest destination: a vintage car parked beside a baroque colonial-era building (photo © Delpixart/iStock.com). in our mobile app — just search for “Caribbean Beat” in your device’s app store. If you haven’t already, make sure you’re connected to us on Facebook, Instagram, and Twitter or sign up for our newsletter to get all the latest Caribbean buzz. MEP publishes high-quality Caribbean print and digital tourism, culture and business magazines; books of Caribbean interest through book imprint, Prospect Press; and a wide range of material — from brochures and newsletters to annual reports and directories — for our clients. How can we help you?